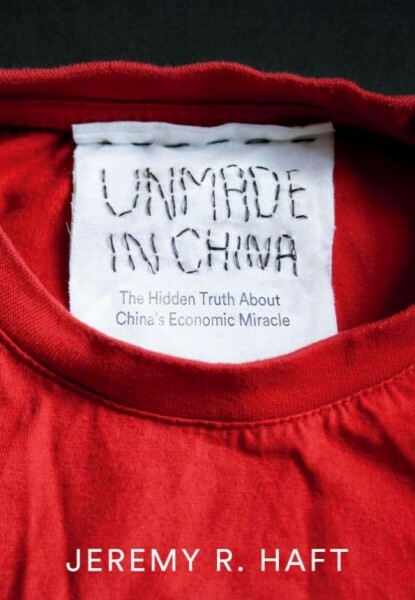 The subtitle of this book is: The Hidden Truth about China’s Economic Miracle and what it implies is that China’s economic rise is not what it appears to be. This is an idea that I have quietly held inside my head for most of the last decade, based on the things that I have seen. Things which do not match with the rising global superpower narrative that is continuously present in international media. I sought this book out to educate myself on the things that I have yet to fully grasp about China’s economy, specifically the manufacturing sector which been its engine. A good indicator of how much I learn from a book can be made by how many highlights I leave in the book: there were 86 highlighted passages in Unmade in China. It is filled with fascinating information which was new to me. Like another book I read a few years ago, Why China Will Never Rule the World, is about dispelling widely-believed China myths. Three of those myths are central themes in the book. I have included those here, along with the author’s opinion on each. The author makes a much more comprehensive argument in the book, but for the sake of brevity I have included the parts which were most interesting to me. Myth #1: China’s economy is about to surpass the U.S. If you have interest in seeing the other side of the “China story”, I highly recommend reading this. I have little interest in manufacturing as an industry, but am filled with enthusiasm for untangling the wires when it comes to understanding what is happening in China. That is what Unmade in China is about. After reading this book I look at international news about China a little bit differently, noticing many of the effects that Haft describes. In particular, politicians and media reporting figures which countless economists around the world agree cannot possible be true, yet are routinely reported as unquestioned fact. Politicians and the media have an interest in distorting and exaggerating the power and influence on the horizon. Debate and discussion about the truth at the center of China’s economy has become a bigger topic of discussion recently, as the yuan has lost significant value and China has released annual GDP figures. It seems certain that in 2016 they will escalate rhetoric surrounding China and its influence on the United States as they rally people around false issues like Apple bringing manufacturing back to the United States (it won’t and it shouldn’t).